Wisbech: The largest capacity freezer in the UK with 77,000 pallets, fully automated warehouse. The highbay extends to 35m with a floor plan of 175m x 88m. Combined with the loading and picking building the project required 36,000m2 of composite panel. The scale of the project was such that it made the local BBC news. 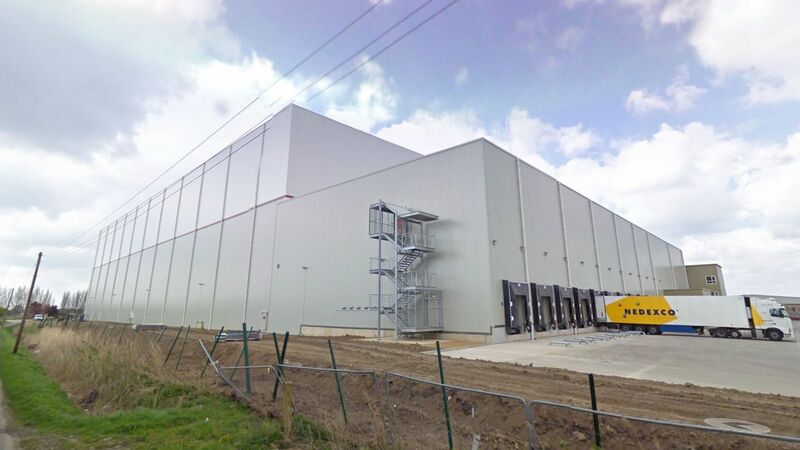 Gloucester: The previous High Bay ‘clad rack ‘ freezer named the ‘Ice cube’ by locals has a capacity of 72,000 pallets and was the first high bay clad rack freezer in the UK. ISD also installed the cladding on the offices which can be seen in the photographs. Design of the building fabric had to satisfy many demanding performance requirements with an internal temperature of -25 deg c and with fluctuating external temperatures, junctions, connections and fixings had to be designed to accommodate shrinkage, expansion and thermal bowing. Coupled with this the high bay sections have depleted oxygen and a 1 hour fire separation wall. The oxygen is reduced from 20% to 15% which is equivalent to 10,000 ft (3048m) altitude. At this level, fire cannot burn but still allows personnel to work within the warehouse. Construction involved using specialist plant inc. Z45 boom and 80m tower crane. Operatives were positioned in the racking at strategic locations necessary to fix the panels. Roof works involved specialist training of personnel as netting was not possible due to the racking matrix. The results of the air pressure test carried out by BSRIA at Wisbech were outstanding. Air leakage was recored at 0.1m3 per hour at a pressure of 60 pascals. IACSC design guide suggests a target result of 0.5m3 per hour @ 50 pascals. 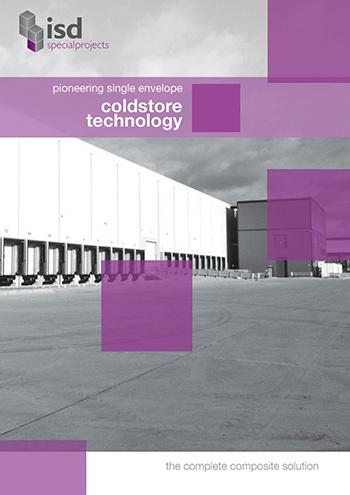 ISD Solutions are UK pioneers in the design, development and installation of single envelope technology.